The month of love is coming up, and there’s no better time to show your special someone how much you love them than now. If you’re running out of date ideas, it’s better to steer clear of the same old zoo and bird park ideas. After all, you know your partner deserves so much more. Whisk them away on a romantic getaway to spend some quality R&R time together. 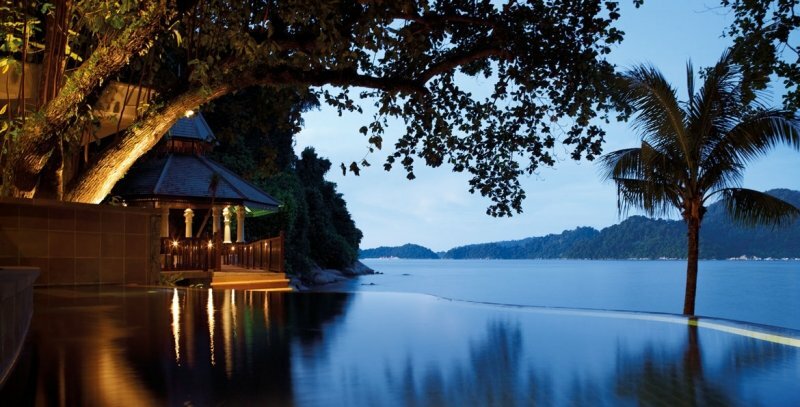 Whether you’d like to have a simple staycation in Singapore or want to go all out with island hopping and ocean view villas for a romantic getaway in Southeast Asia, this list has it all. 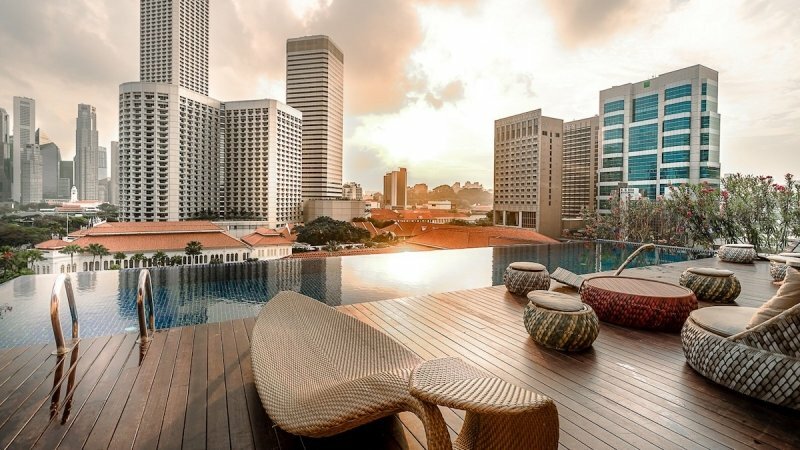 Unlike most other boutique hotels, Naumi Hotel Singapore prides themselves on their bespoke service that caters to you from the moment you arrive. You can definitely expect a phe-naumi-nally good time whilst under their attentive care. Fall back into a luxurious king-sized bed with your partner and relish in the comfort of the room. As an added perk, it’s also topped with Naumi Signatures like an Apple TV, mini-fridge and even a Nintendo Switch upon request. There’s also an Instagram-famous infinity pool for you to take a dip in and watch the sunset from. Spruce up your Valentine’s and soak up some love vibes with their romantic staycation package – Naumi Rendezvous. Available till 27th February at just $298++, this Naumi Love Pack features plenty of fun gifts along with a complimentary sparkling wine to enjoy by the pool. There are also plenty more exclusive add-ons and love treats available during the month of February. Check them out here! 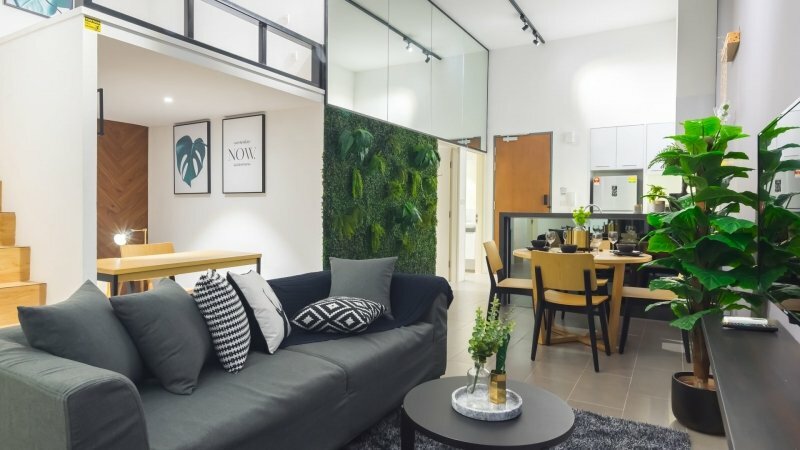 Read more about Naumi Hotel Singapore here . 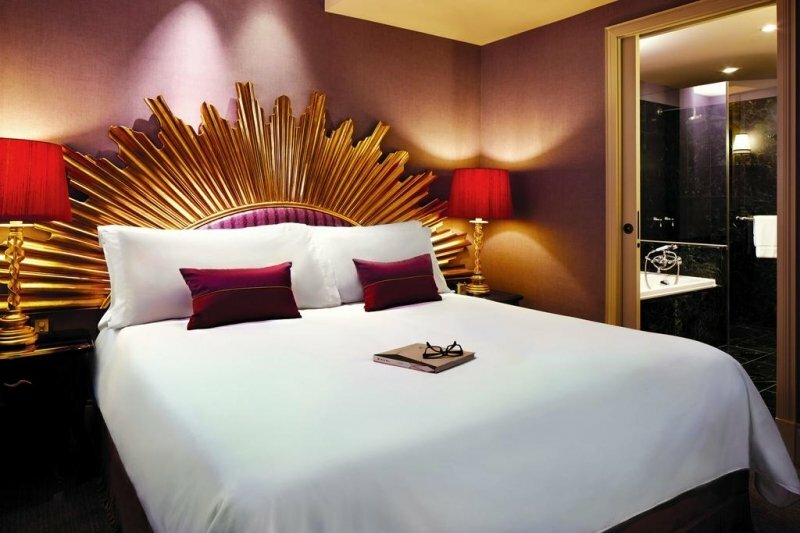 Renowned as Singapore’s first boutique hotel, The Scarlet Singapore promises a sensual night of romance for you and your partner. The interiors are so incredibly elegant, it’ll remind you of a classy ballroom straight out of a fairytale. Each room is adorned with plush furnishing and accented with gold trimmings, making you feel like royalty. 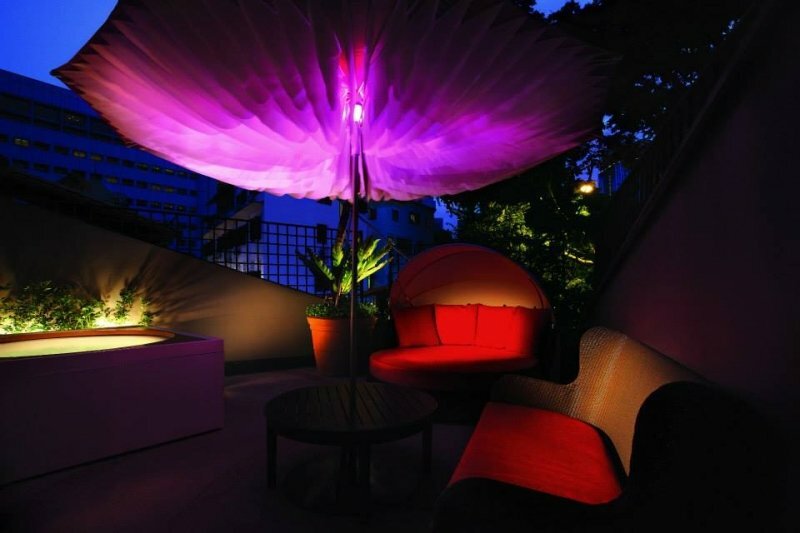 The hotel also boasts Aria Roof Bar which offers cocktails, wine and a gourmet selection of Sicilian food to enjoy over a view of the city and its nightlife. Retire to your grand abode for the night and you’re sure to not want to get up the next morning. There’s no better way to soak in Singapore’s nightlife than with The Scarlet Singapore’s Stay & Explore package. Enjoy an extra special complimentary breakfast for two, as well as unlimited usage of the gym and jacuzzi amongst other great benefits when you book through the website here ! Read more about The Scarlet Singapore here. While Jalan Besar is lined with plenty of colonial era-styled buildings, Hotel Vagabond offers a Parisian experience on a much grander scale. All of the rooms are of varying levels of opulence, with even the most basic rooms, the Classic, providing utmost comfort. 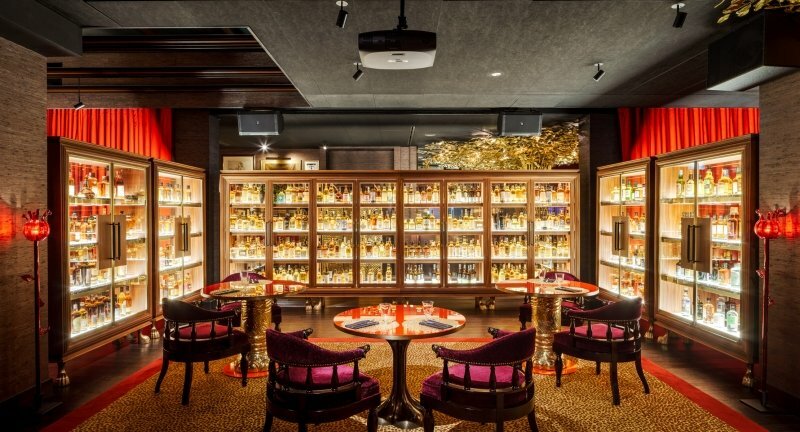 You’d also be delighted to know that there’s a whisky library with over 1,000 carefully curated award-winning whiskies from around the world. Along with the multifunctional lobby that transforms into a musical venue, this space lets you kick back and relax with your partner with some romantic blues. Batam might not be the first place you think of when you're planning where to spend Valentine's, but it definitely holds its own as a romantic destination. Over at Montigo Resorts, your itinerary would include romantic golden sunrises by the sea and rooftop stargazing sessions at night, all from the comfort of your own villa. From the moment you step into Montigo Resorts, a sense of tranquillity washes over you. 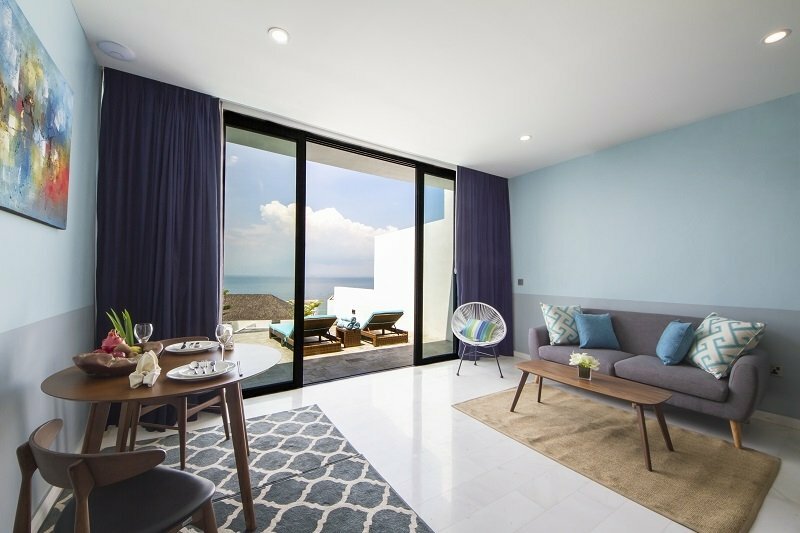 Each deluxe villa comes with its own private infinity pool and a huge rooftop sky terrace where you can enjoy the best of Batam in the comfort of your partner's arms. Come February, impress your partner with A Date at Montigo Spa! For just IDR 3,399,000, this romantic date offer is only a vailable on the month of February. Time to s urprise your special someone with a n award-winning spa treatment within the privacy of your own villa! Read more about Montigo Resorts here . 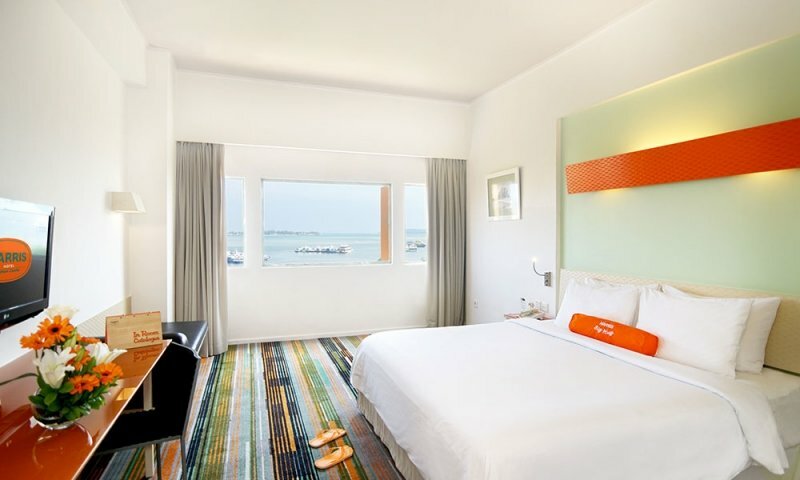 Conveniently located near Batam Center International Ferry Terminal, Harris Hotel Batam Center is one of the first buildings to greet you the moment you step ashore. Its clean white facade, colourful panels and cheerful ambience will certainly lift your mood before you even enter the hotel. 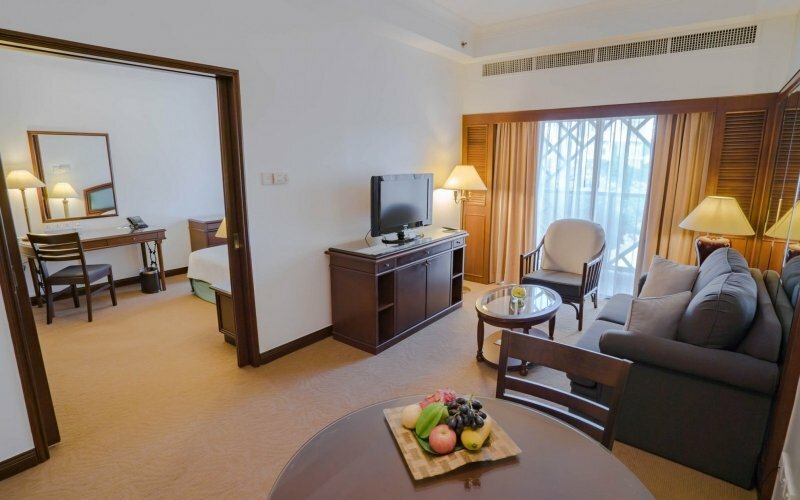 The spacious rooms are coupled with an exquisite sea view. If the sound of the waves tempts you, you can head on down to the huge swimming pool for a quick splash. There is also a great variety of dining options so you and your partner can pig out to your heart’s delight. Harris Hotel is treating you to a romantic meal of a lifetime with their special Valentine’s Day Package for just IDR 450,000! What better way to express your love than to dine over a fancy meal, entertained by a delightful piano performance before tucking away into a box of assorted chocolate truffle? 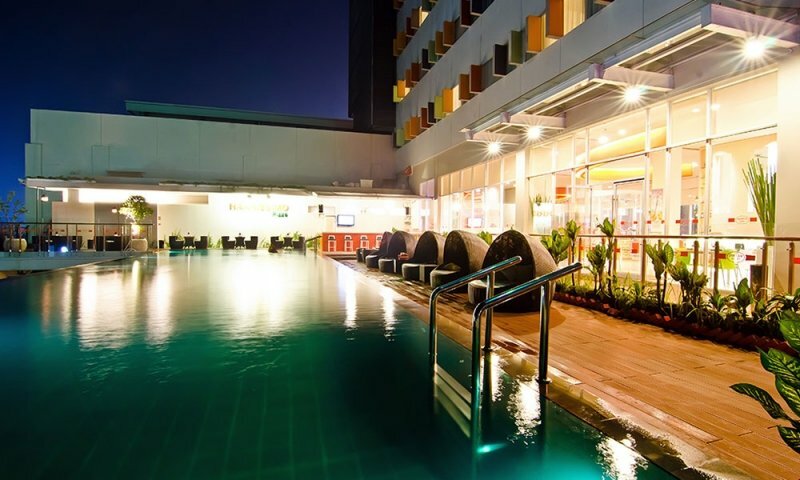 Read more about Harris Hotel Batam Center here . With its dynamic cultural landscape and surrounding villages, this luxury resort in Ubud whisks you away to a Valentine’s getaway unlike any other. 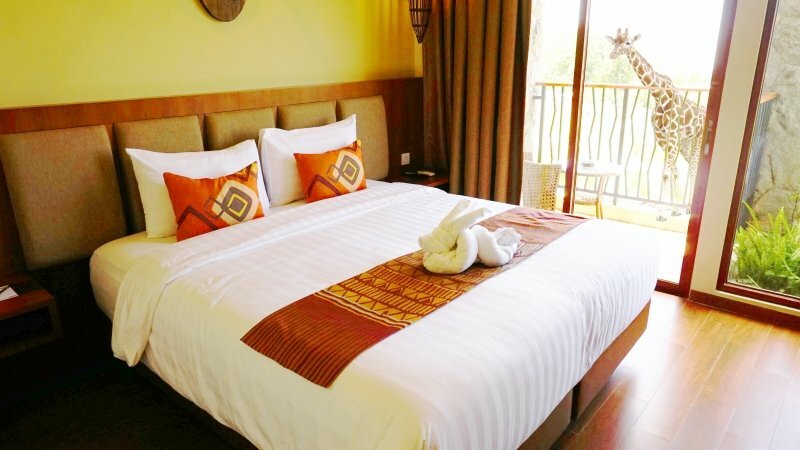 Here, you get to enjoy the idyllic view of rice fields and rainforests from the comfort of your five-star villa. As if it isn’t enough of a quaint getaway, the sounds of nature fill the air even as you soak in the private pool or stretch it out at their outdoor gym. Apart from the outdoor gym, there’s also plenty of attractions at the resort that’s sure to fill your time. Why not take a romantic bike around the area early in the morning to get your fill of the fresh crisp air? There’s even a Visesa Balinese Healing & Spa offering an age-old Ghanta Beauty Therapy that you most definitely have to experience. Read more about Desa Visesa here . Located 768 metres above sea level, InterContinental Bandung Dago Pakar Hotel offers a breath of fresh air along with exquisite luxury. Thanks to their location, they’re one of the few tropical destinations that enjoy cool weather all year round – a great reprieve for you and your partner. InterContinental Bandung also happens to be one of the best places to tie the knot at. While that might not be on your current agenda, it also means that they have the best romantic atmosphere for you to enjoy with your partner. 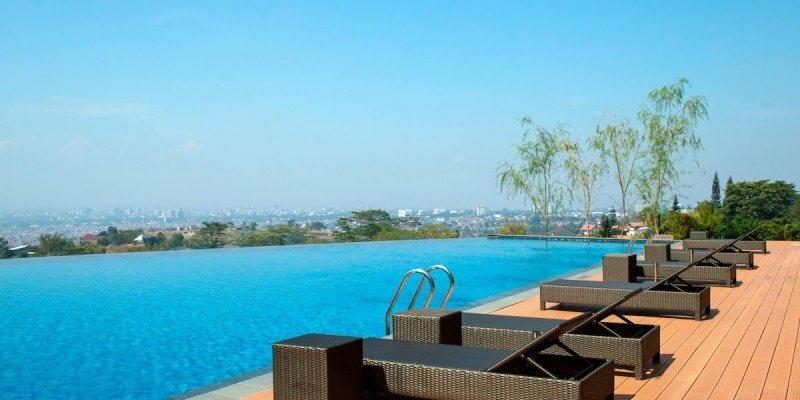 We highly recommend taking a plunge in their heated infinity pool with the view of Bandung stretching in front of you. Make the most of the view over Bandung’s skyline under the stars with InterContinental’s Romantic Dinner Package! Choose from three different packages ranging from IDR 900,00 to IDR 1900,000, all of which include a special multi-course menu served candlelit and more. Don’t miss out on the opportunity of receiving a 20% discount for certain credit card holders if you reserve in advance too! 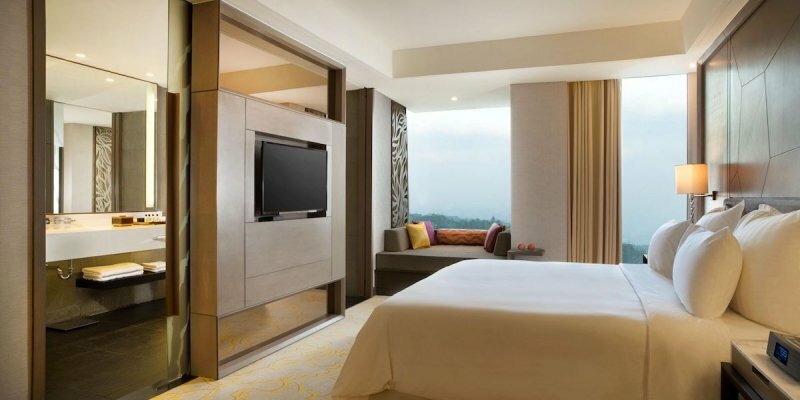 Read more about InterContinental Bandung Dago Pakar Hotel here . If you’re looking for something a little different to enjoy with your partner, what about an African Savanna inspired resort? Perfect for the animal and nature lovers, Baobab Safari Resort allows you to get up close and personal with the safari animals! And we don’t just mean watching them from across a fence. The resort has plenty of organised activities for you to interact with the animals. The most notable and exciting of all has to be their giraffe and meerkat feeding sessions, though the more adventurous ones are sure to enjoy their night walks. 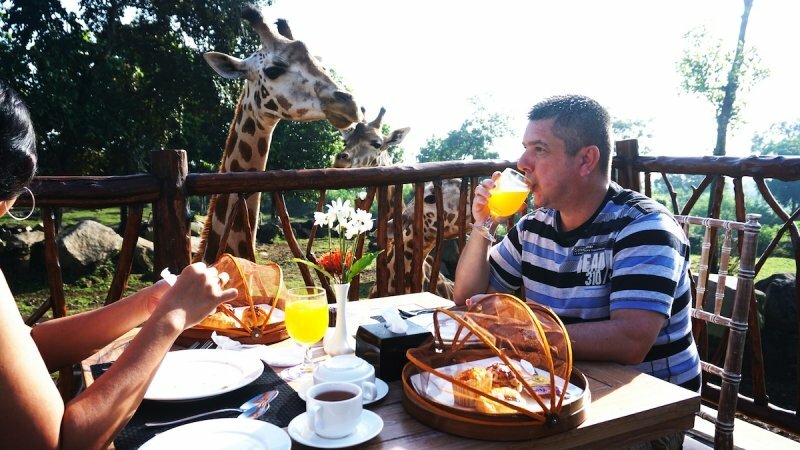 For an extra special surprise, you might even wake up to find a giraffe peering in from your terrace! Take advantage of their Promo of the Month! From just IDR 795,000 nett a day, their Stay & Explore promotional package comes at a massive discount! Enjoy complimentary breakfast for two and a pair of two-day access tickets for a wild time together. Read more about Baobab Safari Resort here . With three of the biggest malls in Metro Manila just a short walk away, Seda Vertis North makes it easy for you to access major dining and leisure venues for an unforgettable Valentine's Day date. 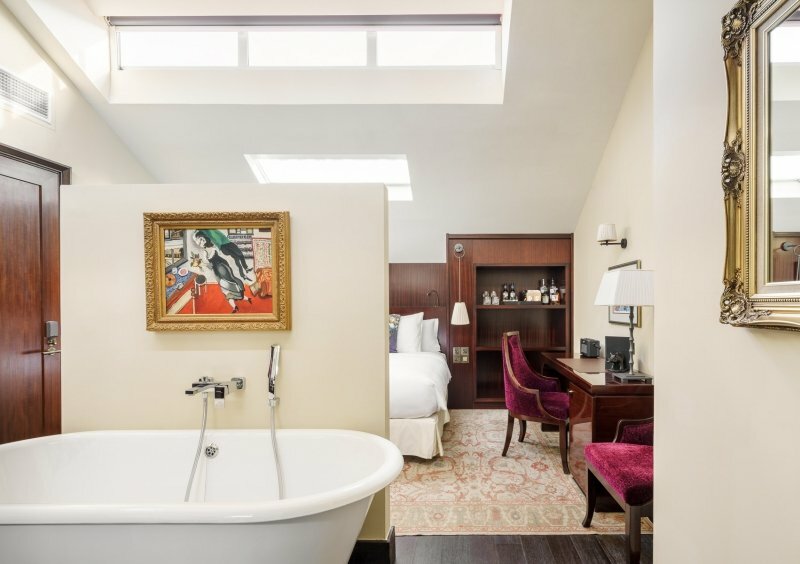 However, the hotel itself is filled to the brim with innovative facilities that will make staying in just as satisfying, especially if you're a bona fide art lover. Accommodations range from a small yet elegant Deluxe Room to a fully equipped Presidential Suite, and most come with a view of the city. 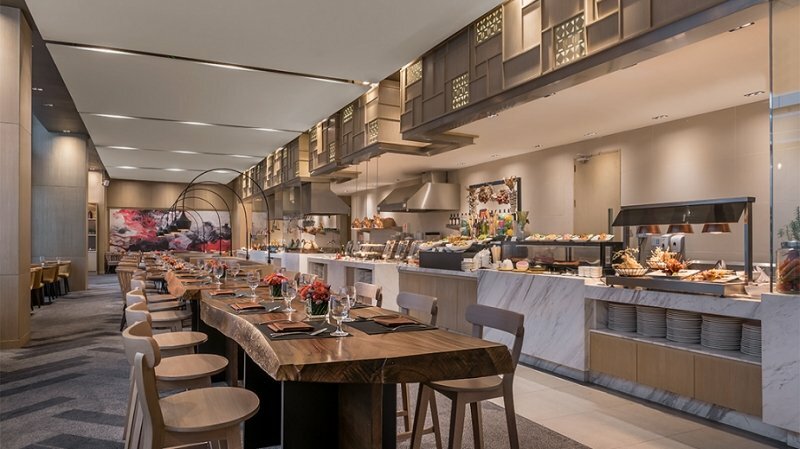 Signature furniture pieces and decorations from renowned Filipino artists are a feast for your eyes, just as the local, oriental and international cuisines at Misto Restaurant are for your tummy. For PHP 1,788 nett each, celebrate love and fortune at Seda Vertis North with its weekend dinner buffet promo, Flavors of Fortune! Other dining perks are also available this month at Misto Restaurant, courtesy of All About Love. If you're all about a total romantic staycation experience, take on the Valentine Chill Out offer, which lets you spend a night of sophistication at the hotel's Straight Up bar while enjoying great drinks, views and of course, the company of your special someone! Treat your partner to a much more memorable Valentine’s at Crimson Resort and Spa Mactan. The villa’s native and earthy beats will whisk you away to the surrounding nature, displaying its effortless magic. Offering a truly authentic Cebuano experience, the warm hospitality is bound to make you and your partner feel absolutely pampered and taken care of. 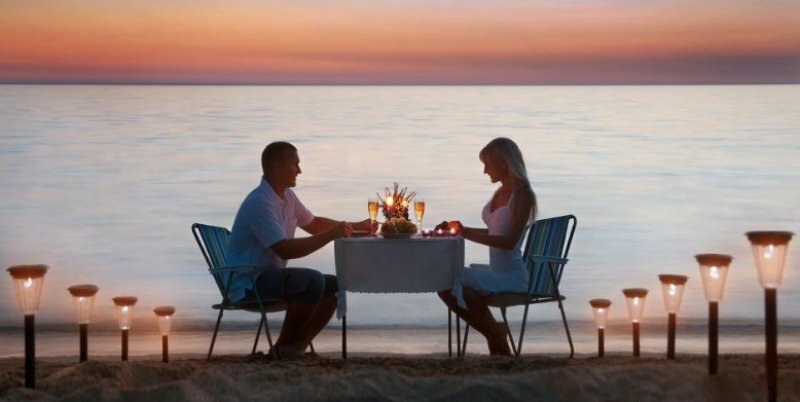 Enjoy an extra special evening together down at the beach with food and entertainment specially prepared by the resort. Twice a week, an open-pit grill is set up for guests to indulge in grilled, stewed and smoked delicacies. Couples can then join in on a romantic seaside evening dance together. Surrounded by lush greens and calming turquoise waters, Crimson Resort and Spa Mactan will truly pamper you and your partner with its Pampered Pair package. Crimson pulls out all the stops for this incredible 4D3N package from only PHP 32,500++ inclusive of complimentary meals and additional discounts! 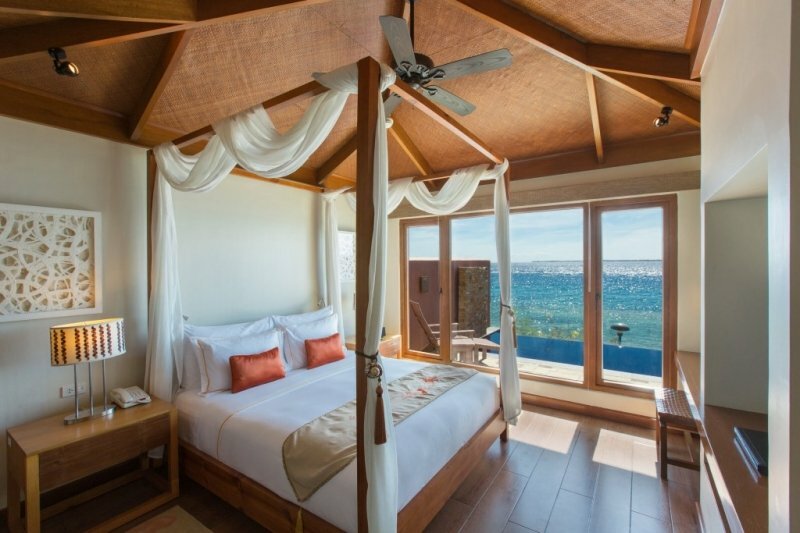 Read more about Crimson Resort and Spa Mactan here . I’M Hotel might be one of the newer hotels around but they still radiate impressive indulgence that’s personalised from every corner of the room. 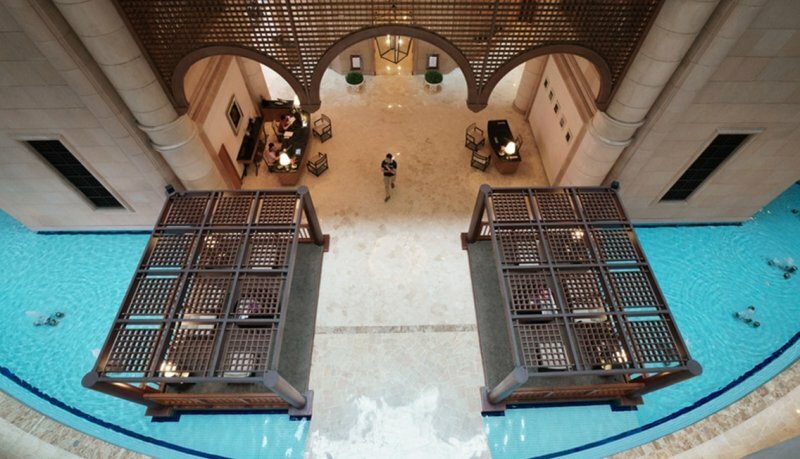 Catch a glimpse of their iconic acrylic-bottomed pool from the moment you walk in. With the elevated lounging platforms positioned just above the water, it’s absolutely perfect for people-watching! The highlight most definitely has to be I’M Onsen, the biggest onsen spa in the whole of the Philippines and the very definition of comfort. 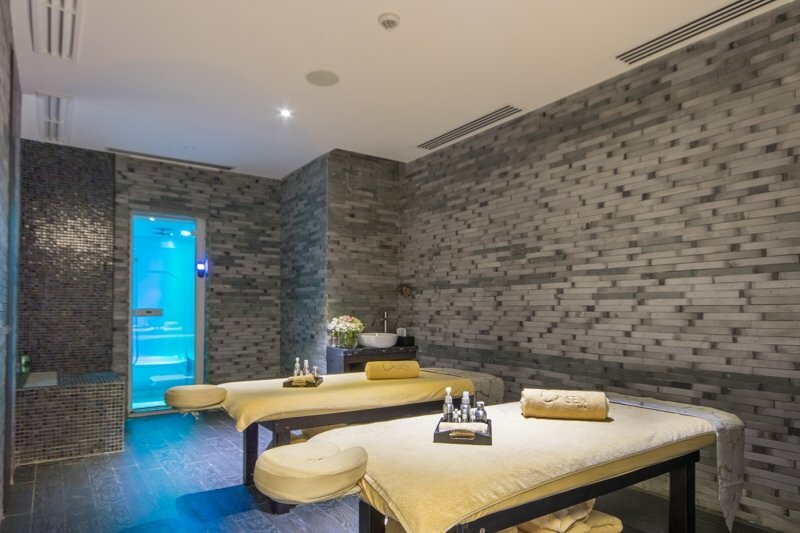 Spanning over six storeys, the choices in treatments and facilities are endless. I’M Hotel’s authentic thermal baths experience makes you feel like you’ve been transported to Japan, and the relaxation you get is completely unparalleled. Get the most out of this Valentine’s Day by availing I'M Hotel's latest lineup of promos! Valid for the month of February ONLY, the Full Package Spa-Cation and the Romantic Gourmand Staycation will entitle you to a one or two-night stay in the hotel inclusive of buffet breakfast at The Common Good, access to Club Lounge and services at I'M Onsen Spa. The latter also highlights a 4-course gourmet dinner at Antidote Rooftop Bar called Love On Top happening exclusively on 14 Feb 2019. This dinner is also available separately for only PHP 4,070 good for two. 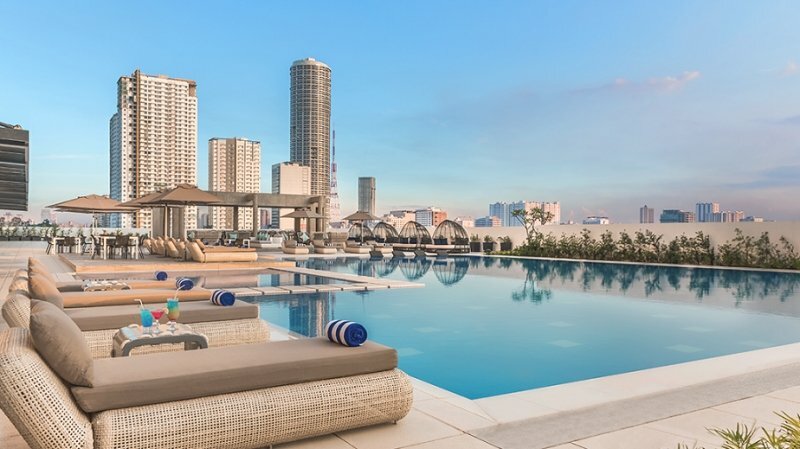 Want to maximise your visit to the Philippines' largest onsen spa? Here's another good news. I'M Hotel also now offers the Escape To Romance At I'm Onsen Spa. This lets you indulge in relaxing treatments like a full body Aromassage plus other perks for an all-in price of PHP 8,000! Read more about I’M Hotel here . Surprise, surprise! 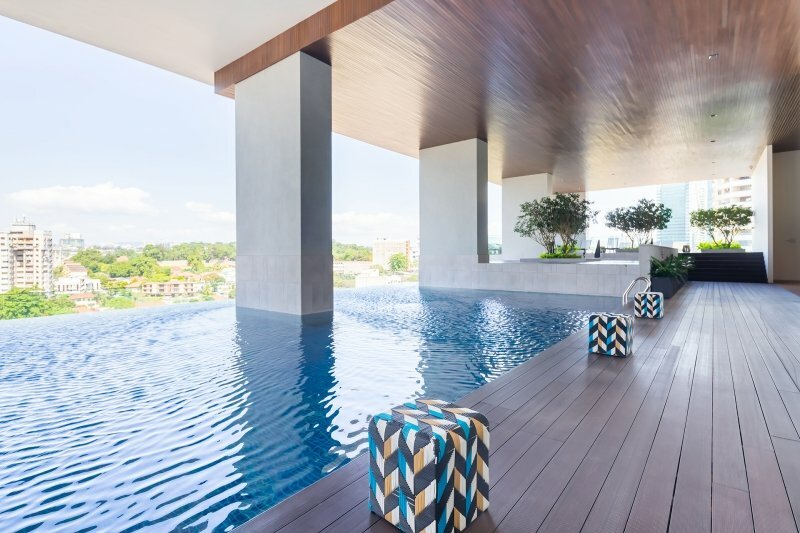 Turns out finding a comfortable place for a much-needed R&R to reward you and your partner in the middle of Kuala Lumpur isn’t so hard after all. Considered the best-serviced residence around, Ambassador Row Hotel Suites by Lanson Place provides a classy suite that’s more than just a level up. Upon entry, the baroque lobby is already visually stunning, with the sitting area elevated just above an indoor lagoon. It immediately primes you for an incredible experience, and the rooms definitely do not disappoint. They’re equally posh and cosy, and offer a breathtaking panoramic view of the city for you to take in. Take advantage of their Duta Energize Retreat to whisk your partner away for a very special Valentine’s. 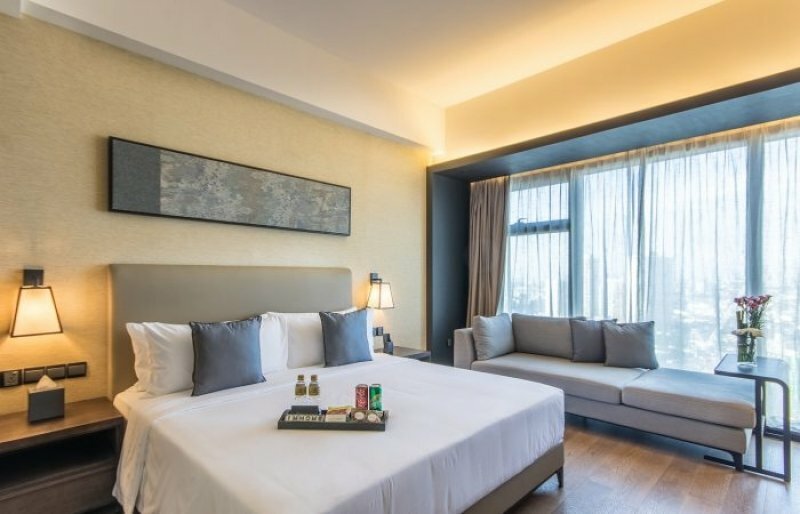 Enjoy a one-night stay in their Duta One Bedroom Suite, with unlimited access to Duta Lounge where you can peruse their selection of tidbits and drinks. You get to pamper your partner to the fullest with a 90-minute Energize treatment at Charawon Spa after a romantic breakfast for two. This package starts at just RM 366, and you can extend for just RM 241.68 nett per night! Read more about Ambassador Row Hotel Suites by Lanson Place here . The isolated island setting and wooden architecture provide a tropical Eden to immerse yourselves in — a much-needed getaway from the world. This one-of-a-kind resort offers breathtaking views from your villa, whether you’re nestled among gardens, amidst the hills or perched atop the tropical waters. If you’re looking for a bit of activity within the tranquillity, why not hop on a luxury yacht and go island hopping? 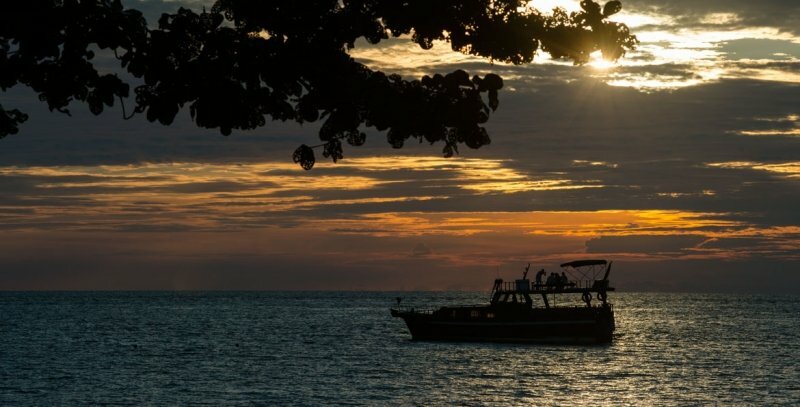 Apart from basking in the sun and plunging into the secluded waters with your partner, there’s even a personalised gourmet picture on the boat for you to enjoy before you head back to the resort. A touch of nature coupled with minimalist simplicity, NowHere Boutique offers top-class comfort and relaxation. This is a perfect place to escape the bustling city life and just enjoy a private time with your partner. Since the hotel is located in the heart of Kuala Lumpur Business Centre, there’s plenty to see and do. However, their beds and duvets are so incredibly soft that you’ll most likely never want to crawl out of bed from the moment you lie back. Also, their infinity pool and outdoor jacuzzi are perfect for when you want to laze the afternoon away within the property. If you’re bursting with passion and Valentine’s Day is just not enough, why not head over to TripZillaSTAYS for even more romantic getaway ideas!